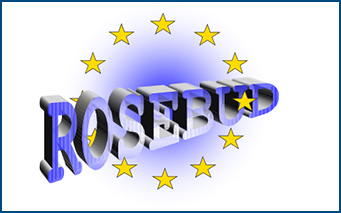 NRSO: Matthew, tell me a bit about this new role of the European Coordinator for the promotion of road safety in Europe and what will be your specific areas of focus? A paper titled “Capturing the effects of texting on young drivers behaviour based on copula and Gaussian Mixture Models” authored by Loukas Dimitriou, Katerina Stylianou, and George Yannis is now published in Transportation Research Part F: Traffic Psychology and Behaviour. This research effort aims to investigate the impact of texting on young drivers’ behavior and safety based on data from driving simulator experiments, for different driving contexts, like motorways, urban and rural roads, during daytime and night, and for alternative weather conditions (‘clear sky’ and rain). 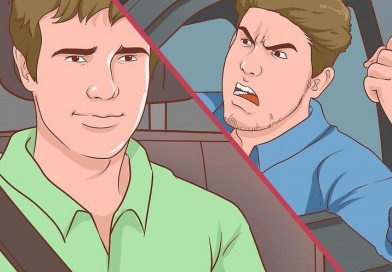 GMMs application showed that drivers using mobile phones who were involved in a collision presented a different driving behavior compared to the drivers who were occupied but were not involved in a collision. The European Traffic Police Network (TISPOL) together with the European Commission DG Move Road Safety Unit have launched the project EDWARD – the European Day Without A Road Death 2018. This year the European Day without a Road Death took place on Wednesday 19 September 2018. Several events, initiatives and promotional activity right across Europe will take place. Moreover, in the EDWARD website lots of new resources can be found, artwork can be downloaded (including images and Infographics), a countdown timer to the day itself, an interactive map and a brand new pledge to sign. In Greece the event for the European Day without a Road Death took place with great success in 18 September in Athens. 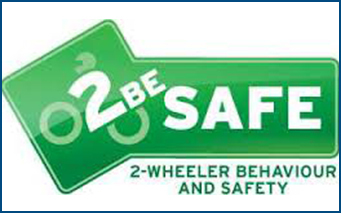 The 3rd Newsletter of the African-European Dialogue Platform on Road Safety (SaferAfrica) Horizons 2020 project has been recently issued with the active contribution of NTUA. 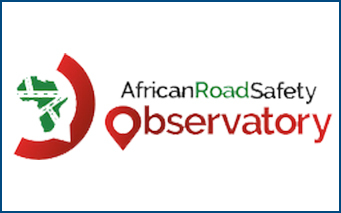 This edition highlights the newly born African Road Safety Observatory, the African RSO and includes also the SaferAfrica recommendations on the implementation of the African Road Safety Action Plan and an attempt to answer how can the African Road Safety Observatory help to improve road safety in Africa. A Diploma Thesis titled “Relation of the performance of road safety to medical, economic and social indicators to countries in the European Union” was presented by Myrto Damianou in July 2018. The 27 European Union Member States are studied between 2008 and 2014. Linear regression and the linear mixed statistical model were developed. The Department of Transportation Planning and Engineering of the National Technical University of Athens (NTUA) was ranked 15th in Europe and at 65th place worldwide among all Transportation Science & Technology Schools, according to the ShanghaiRanking’s Global Ranking of Academic Subjects (GRAS) 2018. NTUA road safety activities have contributed to this excellent performance. Accordingly, the NTUA Civil Engineering School was ranked 7th worldwide (3rd European) among all Civil Engineering Schools. A Diploma Thesis titled “Modelling the economic impact of road accidents in Greece” was presented by Eleftherios-Marios Kourtis in July 2018. The objective of this Diploma Thesis is the estimation of the human cost of road accidents based on the “Willingness-to-Pay” (WTP) methodology, and the identification of drivers attitudes towards the probability of getting involved in a road accident, using the “Stated Preference” method. The results demonstrate a positive correlation between the number of road accidents that a driver was involved so far and the annual amount that is willing to invest. Furthermore, based on the WTP methodology, the road accident fatality human cost in Greece was estimated at 1.761 million euros. Dr. Panagiotis Papantoniou obtained the NTUA Thomaidion Αward 2017 for the publication of the journal paper titled “Simulation of Texting Impact on Young Drivers’ Behaviour and Safety on Motorways”, in the Transportation Research Part F: Traffic Psychology and Behaviour. Dr. Dimosthenis Pavlou obtained the NTUA Thomaidion Αward 2017 for the publication of the journal paper titled “Which are the effects of driver distraction and brain pathologies on reaction time and accident risk?”, in the Advances in Transportation Studies. Dimitris Tselentis obtained the NTUA Thomaidion Αward 2017 for the publication of the journal paper titled “Road, Tragic and Human Factors of Pedestrian Crossing Behavior: Integrated Choice and Latent Variables Models”, in the Transportation Research Record: Journal of the Transportation Research Board. 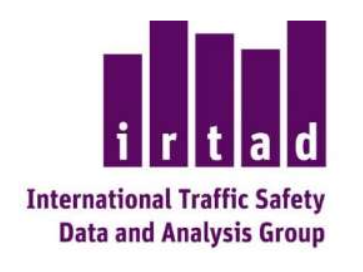 The International Road Traffic and Accident Group (IRTAD) of the International Transport Forum (ITF/OECD) published recently a new Report: “Safer Roads with Automated Vehicles?”. 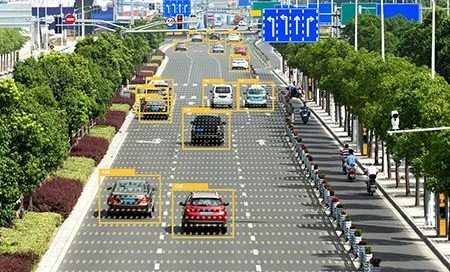 This report examines how increasing automation of cars and trucks could affect road safety, and which security vulnerabilities will need to be addressed with the rise of self-driving vehicles. 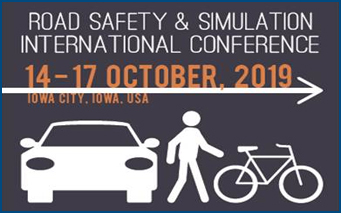 It introduces the principles of Safe System approach and the relevance of Vision Zero for road safety to the wider discussion on vehicle automation. Commissioner for Transport, Violeta Bulc stated that the European Commission has put forward initiatives addressing the challenges of today and paving the way for the mobility of tomorrow; today’s measures constitute a final and important push so that Europeans can benefit from safe, clean and smart transport. The International Road Federation (IRF) is operating the global Transport Knowledge Practice Resource Centre (gTKP) This comprehensive resource centre features the latest, state-of-the-art information on road infrastructure and transport (case studies, research papers, publications, reports, presentations), functioning like an on-line library, with Road Safety being a key component of this knowledge centre. 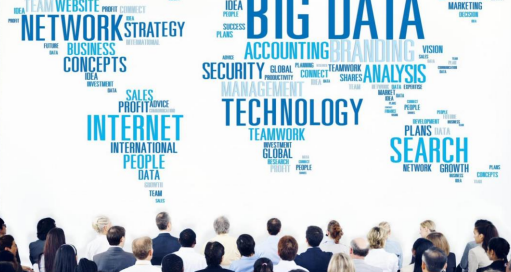 Registered users (free of charge) can exploit interactively the wealth of data and knowledge and also contribute their own knowledge and experience. 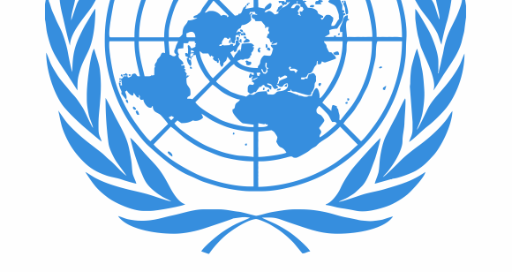 The United Nations have recently launched the UN Road Safety Trust Fund, aiming to accelerate progress in improving global road safety by bridging the gaps in the mobilization of resources for effective action at all levels. The Fund is expected to mobilize resources from governments, intergovernmental or non-governmental organizations, the private sector, philanthropic organizations and individuals. UNECE estimates that every $1,500 contributed to the Road Safety Trust Fund could: save one life, prevent ten serious injuries, and leverage $51,000 in road safety investment. Jean Todt, United Nations Secretary-General’s Special Envoy for Road Safety, stated that the UN Road Safety Trust Fund has the potential to galvanize our global efforts to address the road safety situation, building on the progress made and experience gained over the Decade of Action for Road Safety 2011-2020. 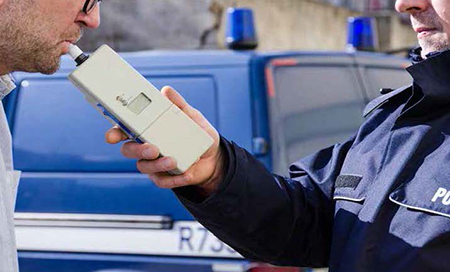 A new fines scheme for traffic infringements has been recently introduced in the Greek Road Code (Law 4530/2018). More precisely, three categories of fines are set, based on the safety importance of the respective infringements: low (0-300€), medium (301€ – 600€) and high (>600€) risk. Furthermore, fines income criteria are introduced, according which offenders with an annual income between 50.001€ – 100.000€ are subject to double fines, while offenders with an annual income above 100.000€ are subject to triple fines. Finally, offenders that commit three times in the last 5 years a high-risk infringement lose their license in life. The Department of Methodology in the Behavioural Sciences of the University of Valencia organised the CAMP-sUmp University Campus Sustainable Mobility Conference, co-funded by the European Regional Development Fund of the Interreg MED Programme in Valencia, Spain, on 27 March 2018. Designed to improve sustainable mobility in the Mediterranean area universities’ campus, CAMP-sUmp promotes the advancement of low-carbon strategies and energy efficiency within safe and efficient transport policies. At the CAMP-sUmp Conference the Action Plans and the related Road Maps were presented aiming to support Universities to improve their sustainable mobility plans with emphasis on traffic safety. Presentations were given by the CAMP-sUmp Universities: Catanzaro, Athens, Valencia, Cyprus, Split, Malta and Bologna. The International Road Traffic and Accident Group (IRTAD) of the International Transport Forum (ITF/OECD) published recently a new Report “Speed and Crash Risk”, with the active contribution of NTUA. After reviewing the current knowledge on the relationship between speed and crash risk, this report analyses eleven cases from ten countries that have recently changed speed limits or introduced a large-scale automatic speed control. The analysis confirms the very strong relationship between speed and crash risk and that higher speed is associated with increased occurrence and severity of road crashes. The Civil Engineering School of the National Technical University of Athens was ranked this year 11th in Europe and 42nd worldwide among all Civil Engineering Schools. This ranking is produced by the QS Organisation (QS World University Rankings by Subject 2018) based on the following criteria: Research, Teaching, Employability, Facilities, Internationalization, Innovation, Engagement and Access. 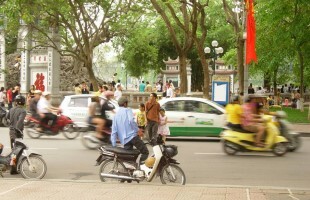 NTUA road safety activities have contributed to this ranking. Professor Demetris Koutsoyiannis, Dean of the Civil Engineering School highlighted that the Civil Engineering School advanced one position in the European rankings compared to 2017, with best performance in criterion on citations per paper (23rd worldwide). The International Road Traffic and Accident Group (IRTAD) of the International Transport Forum (ITF/OECD) published recently a new Report, with the active contribution of NTUA, which examines how improving insights regarding the real number of alcohol-related road casualties worldwide can help to save lives. A total of 45 countries were surveyed with the help of an online questionnaire, and insightful statistics are presented in this Report. IRTAD Chairman, Professor Fred Wegman, highlighted that: “With great certainty, the real number of alcohol-related road casualties is higher than reported in the official statistics”. The 2nd Newsletter of the African-European Dialogue Platform on Road Safety (SaferAfrica) has been recently issued with the active contribution of NTUA. 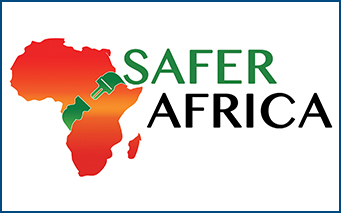 This Newsletter is the official, semi-annual newsletter of the SaferAfrica Project funded within the EC Horizon 2020 Programme, aiming to create favourable conditions and opportunities for the effective implementation of actions for road safety and traffic management in African countries. This second issue includes: a) Road Safety Data Capturing and Management Challenges in Africa, b) Stories from Cameroon and South Africa, c) Safety Cube Decision Support System, d) Road Safety in new H2020 Work Programme and more. NTUA Prof. George Yannis highlighted that for capturing accurate and complete road safety data in Africa there is need to follow international data collection practices and recommendations as well as the systematic re-organisation of the competent national Authorities, within the safe system approach. Road safety is a major issue in Latin America and substantial actions are needed to reduce the number of road deaths and injuries. 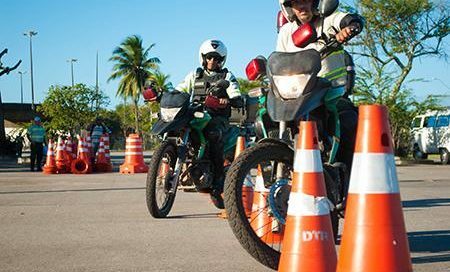 The International Transport Forum (ITF) released a report which describes and benchmarks road safety management and performance in ten Latin American countries: Argentina, Brazil, Chile, Colombia, Costa Rica, Cuba, Ecuador, Mexico, Paraguay and Uruguay. The comparisons in this study allow identifying similarities and differences between countries’ road safety performance. It will be useful to policy makers in assessing weaknesses and strengths, and designing effective road safety policies that make use of the experiences in other countries. The infographic of the 2017 NTUA Road Safety Observatory (www.nrso.ntua.gr) highlights one more very intensive year, striving with highly scientific expertise to improve road safety in Greece, in Europe and worldwide. The nrso people with excellent dedication, efficiency and expertise were active in 16 innovative research projects, succeeded to publish 51 scientific papers (20 in peer reviewed journals), had more than 16.500 nrso users, handled more than 100.000 emails and run more than 4.700 km! 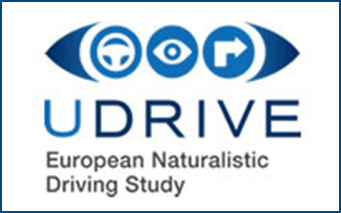 e-Drive Academy is an Innovative Educational e-platform for Safe, Smart, Ecological Transport and Driving, developed and operated by the General Directorate of Road Safety of the Hellenic Ministry of Infrastructure, Transport and Networks. e-Drive Academy provides all necessary educational services in order to develop an improved road safety culture and safe travelling for all road users, regardless of age, education or economic level. It aims to raise awareness of road users to adapt their behaviour to safer everyday travelling, with particular emphasis on consolidation of road safety issues and traffic safety education of children and preparing them as the responsible drivers of tomorrow. e-Drive Academy introduces for the first time the systematic teaching of Traffic Behaviour and Road Safety in Greek Primary Schools which start within 2018. 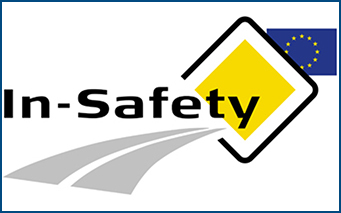 VESAFE, the one stop shop for vehicle safety is an e-guide commissioned by the European Commission (DG Employment, Social Affairs and Inclusion) and it has been developed by a consortium made up of TNO, TOI, Kooperationstelle, Fesvial, vhp, and Learnways. 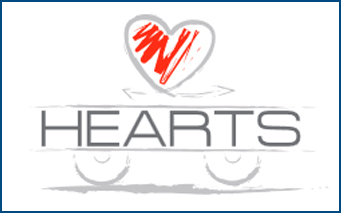 Work-related vehicle risks account for 29% of all fatal occupational accidents. However, good practices to avoid and reduce these risks have already been implemented within the member states in the EU. Sharing them can help employers and workers to improve vehicle-related safety. 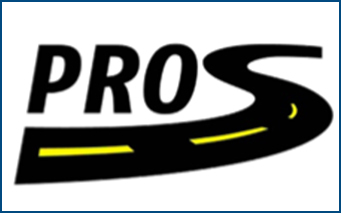 With this interactive e-guide many good practices are provided as well as an overview of relevant regulations and information about safe driving for work, workplace transport safety, and working on or near a road. Global Designing Cities Initiative together with the National Association of City Transportation Officials (NACTO) launched “The Global Street Design Guide“, as a very timely resource that will set a global baseline for designing streets and public spaces while redefining the role of streets in a rapidly urbanizing world. The Guide broadens how to measure the success of urban streets to include access, safety and mobility for all users, environmental quality, economic benefit, public health and overall quality of life. Michael R. Bloomberg, Founder of Bloomberg Philanthropies, and Former Mayor of the City of New York highlighted that this guide helps city leaders meet those challenges in ways that also connect people to jobs and services and bring new life to neighborhoods and it is full of creative ways cities are reshaping streets to better serve the public. 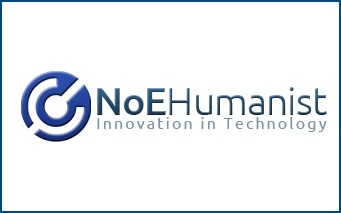 At the end of another year full of surprises, non-stopping efforts, few disappointments and some great achievements like the new breakthrough Road Safety Decision Support Systems: SafetyCube and SafeFITS, we persist with creative hope and scientific rigor for even more safe road traffic everywhere and for all. We are sending you all our very best wishes for very joyful Christmas holidays and a very happy and fruitful new year 2018, plenty of personal and professional achievements. Universita di Pavia is implementing for 2018 a post bachelor programme in Management of road safety and reconstruction and analysis of road accident. The innovative course has the aim of training highly qualified professionals with a solid background in road safety and capable of operating in all the phases of investigations and analysis of road accidents. The programme is a full time international one-year program and designed for students from all over the world. The master’s course language is English and Italian. 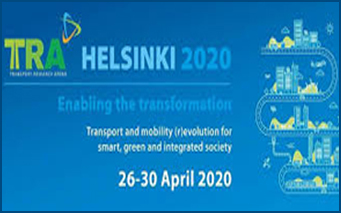 The Transport Research and Innovation Monitoring and Information System – TRIMIS is an online platform for researchers to share and discuss innovation in mobility in Europe. 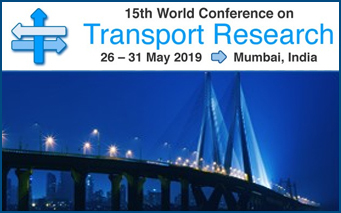 It is an evolution of the Transport Research & Innovation Portal (TRIP), and incorporates TRIP’s database of over 10,000 EU and national transport research projects. 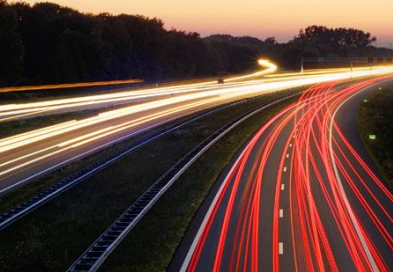 TRIMIS monitors the implementation and effectiveness of the roadmaps developed by the Strategic Transport Research and Innovation Agenda (STRIA). 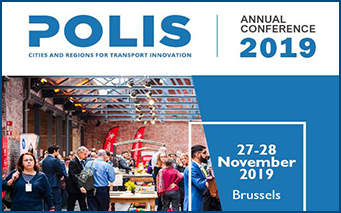 TRIMIS analyses technology trends, research and innovation capacities and developments in the European transport sector, providing open-access information. Global NCAP and AA South Africa launched #SaferCarsforAfrica on 22 November 2017 in Cape Town, with the first independent crash test assessment of some of South Africa’s most popular compact and small cars. The crashworthiness results of the five cars tested showed a wide range of safety performance, from four to zero stars for adult protection, with the lowest ratings resulting in a high probability of life threatening injury in a road crash. 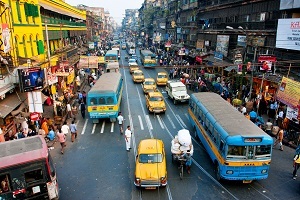 The World Health Organization (WHO) in collaboration with other United Nations Agencies and Regional Commissions is developing the global performance targets on key risk factors and service delivery mechanisms to reduce road traffic fatalities and injuries, aligned to the UN Sustainable Development Goals for 2030. The second revision of the related WHO Discussion Paper was published in August 2017 and in November 2017 a comprehensive set of 12 Global Road Safety Performance Targets was put forward aiming to guide global road safety policy and related activities up to 2030. The Member States have also invited WHO and other UN Agencies to continue the work by developing a set of related indicators. The World Day of Remembrance for Road Traffic Victims is observed on the third Sunday of November each year (this year on 19 November 2017) by an increasing number of countries on every continent around the world. From 1995, the European Federation of Road Traffic Victims (FEVR) observed this day, as European Day of Remembrance, that was adopted by the United Nations in 2005, and is dedicated to remembering the many millions killed or injured in road crashes and their families and communities, as well as to pay tribute to the dedicated emergency crews, police and medical professionals who daily deal with the traumatic aftermath of road death and injury. A recent United Nations‘ Press Release highlighted the fact that 650 people are killed each day in road accidents throughout Africa. “There is projected increase in urbanization, motorization, infrastructure development projects and vehicle ownership in the region over the coming decades. Road traffic fatalities and injuries will continue to take a rising toll on countries if no significant changes are made” warned the Special Envoy for Road Safety, Jean Todt, addressing the 2017 Africa Road Safety Conference in Cape Town, South Africa. 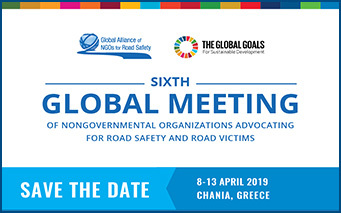 To change this trend, Mr. Todt urged participating governments to implement the Global Plan for the Decade of Action and the African Road Safety Action Plan, which focuses on safer roads, vehicles and road users. It also details improved post-crash care and stronger road safety governance, including the enforcement of strong legislation. He also called for implementing basic laws not obeyed in some countries, such as using seat belts and helmets, child safety seats, and prohibiting drunk drivers. The Hellenic Institute of Transportation Engineers (HITE), has released its position towards the improvement of road safety in Greece with an elaborate problem analysis and a comprehensive set of prioritised measures. 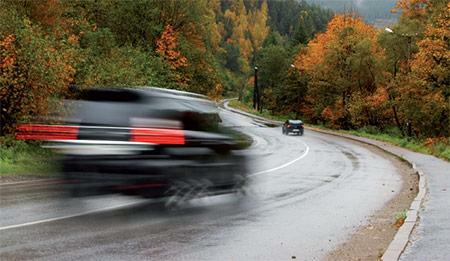 In addition, HITE has released its position on the changes of the Road Traffic Code proposed by the Government. Even though some proposed provisions are considered very useful (cycle and HGV traffic rules, fines rationalisation, etc.) the intention to decrease speeding fines and to increase motorways speed limits are blatant failures highlighted by the HITE. 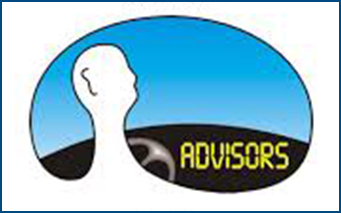 A special issue of Safety Science on Naturalistic Driving Research is now calling for papers with NTUA Professor George Yannis as Guest Editor. Manuscripts submitted to this Special Issue will enable information dissemination on the latest methodologies and findings from naturalistic driving research worldwide. Topic Areas may include, but are not limited to: Crash risk and crash causation, Distraction and inattention, Interaction with cyclists and pedestrians, Vehicle automation and connectivity, Eco-driving, Typical everyday driving behaviour, Novice drivers, Elderly Drivers, Naturalistic Cycling, Naturalistic Riding (Powered two-wheelers), Methodology and definitions. Safe Future Inland Transport Systems (SafeFITS), the Global Road Safety Model developed by NTUA for the United Nations – Economic Commission for Europe (UNECE) with the support of the International Road Transport Union (IRU) was presented by NTUA Professor George Yannis, at the Global Forum for Road Traffic Safety (WP.1) as part of its Seventy-fifth session in 19 September 2017, in order to showcase current developments and obtain feedback from national representatives. 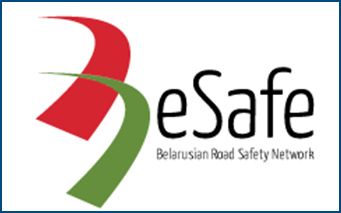 The SafeFITS tool is built around a statistical model based on historical road safety data and the relations between different road safety indicators. SafeFITS will enable Governments to identify the most appropriate road safety measures and policies to save even more lives. 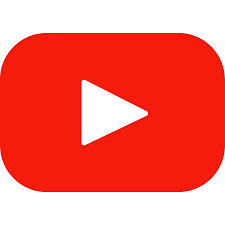 VIAS Institute is the organisation that is taking over the role of Belgian Road Safety Institute (BRSI) after 30 years. The change of name is the final part of a process that was put in motion six years ago. 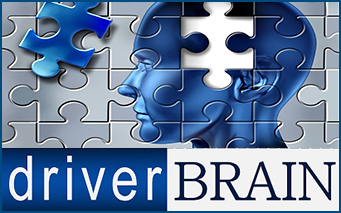 Over the years, BRSI has built up a strong reputation in the area of road and traffic safety. BRSI have done so – based on research – by targeting the way in which they work on the changes to people’s behaviour out on the road. Improving road safety, along with mobility and safety in general: that is the aim of VIAS Institute, as a major Belgian Knowledge center. The Vehicle and Traffic Safety Centre at Chalmers (SAFER) has recently launched its new website, aiming to further communicate worldwide SAFER research findings and presenting all projects, publications, news, seminars and other activities. SAFER is the open innovation arena with the contribution of Volvo, VTI, Chalmers University and other partners, where researchers and expertise work together to create safe mobility. Its traffic safety approach covers people, vehicles and the infrastructure – and together they contribute to safer road transports and smarter, more sustainable cities. 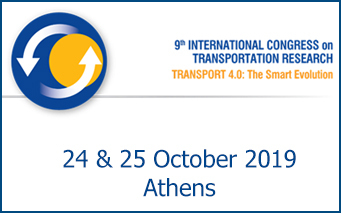 The Institute of Communication & Computer Systems and the Hellenic Ministry of Infrastructure & Transport are organising a workshop and demonstration of I_HeERO – “Infrastructure Harmonised eCall European Pilot” implementation in Greece, that will be held on Tuesday, 24 October 2017 at the Hellenic Ministry of Infrastructure and Transport facilities, in Athens, Greece. The European project I_HeERO: Deployment pilot project of EU-wide eCall is aimed at the preparation of Public Safety Answering Points (PSAPs) in the participant Member States (Bulgaria, Cyprus, the Czech Republic, Finland, Germany, Greece, Ireland, Italy, Portugal, Romania and Slovenia) for the deployment of eCall based on 112 as reference implementations. 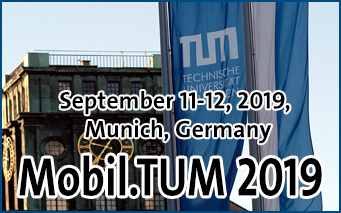 The event is expected to attract a wide variety of participants from private and public institutions, local authorities, academic and research communities, manufacturers, road transport professionals and end users associations. 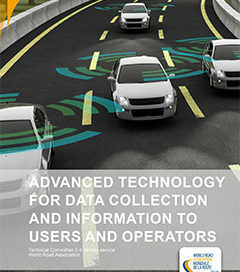 The World Road Association-PIARC recently published a Report entitled: “Advanced technology for data collection and information to users and operators”. The Report provides brief summaries of projects from around the world, presented in the form of use cases that are representative of innovative ways of collecting, distributing, and making use of mobile data to assist transportation officials in their winter maintenance operations and to provide information to the travelling public. The use cases or case studies were selected because it is the belief of the authors that, when deployed, any of the technologies described will have a positive impact on transportation safety, mobility, the environment, and/or more efficient use of human and material resources needed to carry out their winter maintenance duties. The Newsletter of the African-European Dialogue Platform on Road Safety (SaferAfrica) has been recently issued with the active contribution of NTUA. 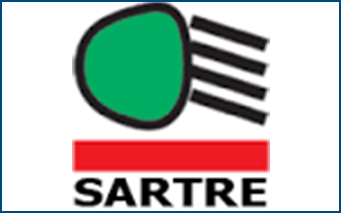 This Newsletter is the official, semi-annual newsletter of the SaferAfrica Project funded within Horizon 2020 programme of the European Commission, aiming to create favourable conditions and opportunities for the effective implementation of actions for road safety and traffic management in African countries by setting up a Dialogue Platform between Africa and Europe. 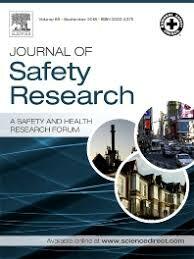 The first issue includes a) New Network of Regional Road Safety Observatories by World Bank, OECD and FIA, b) Towards the Pan-African Road Safety Knowledge and Data Centre, c) Data-driven road safety under construction in Cameroon. 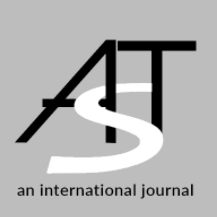 The renown international scientific journal Advances in Transportation Studies (ATS) has launched its new website. The new ATS website has been redesigned for a user friendly and appealing web navigation offering to the Scientific Community a quick access to all scientific results published. The Australia and New Zealand Driverless Vehicle Initiative (ADVI), led by the Australian Road Research Board (ARRB), released the Preliminary findings from the first Australian National Survey of Public Opinion about Automated and Driverless Vehicles. In late 2016, a sub-set of members of ADVI’s Scientific Research Group designed and conducted a public opinion survey to gauge Australian public awareness, understanding and likely acceptance of automated vehicles, with the primary focus on cars. Responses from 5263 participants were collected and analysed in relation to their level of awareness of automated vehicles generally, and their opinions specifically about partly- and fully-automated cars: perceived risks associated with them, their willingness to pay for them, perceived potential benefits, trust in them, perceived concerns and likely acceptance. The Department of Transportation Planning and Engineering of the Civil Engineering School of the National Technical University of Athens was ranked 9th in Europe and 39th worldwide among all Transportation Science & Technology Schools and the Civil Engineering School of the National Technical University of Athens was ranked 7th worldwide (3rd European) among all Civil Engineering Schools according to ShanghaiRanking’s Global Ranking of Academic Subjects (GRAS) 2017 . The methodology of the ShanghaiRanking’s Global Ranking include specific thresholds, indicators and weights. 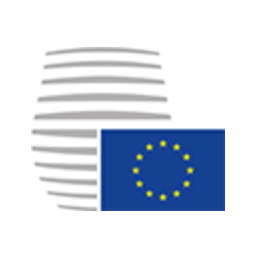 The Council of the European Union set a new target of halving the number of serious injuries on roads in the EU by 2030 from the 2020 baseline, using a recently agreed common definition. Of particular concern is the number of pedestrians and cyclists killed or seriously injured each year. Council conclusions on road safety endorse the Valletta declaration on improving road safety adopted at an informal ministerial meeting organised by the presidency on 29 March 2017. 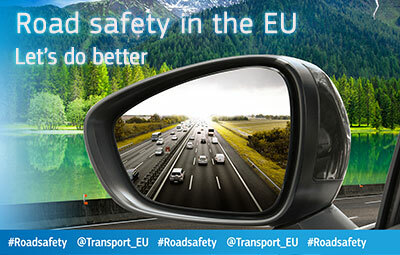 They will feed into the next EU strategy on road safety, which is expected to be developed for the decade 2020-2030. A coalition of Industry, NGOs, Consumer Groups and Cities are calling on the European Commission to urgently bring forward new minimum safety standards for new cars, vans and trucks, waited since long. The European Association of Automotive Suppliers (CLEPA), the European Cyclists Federation (ECF), POLIS, the European Transport Safety Council (ETSC) and Transport & Environment (T&E) released a letter suggesting that new minimum vehicle safety standards are ‘absolutely critical’ to reducing deaths and serious injuries on European roads. 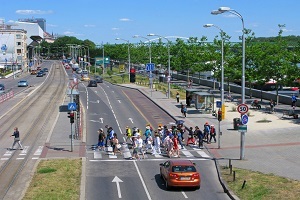 World Health Organisation (WHO) released a a road safety technical package entitled: Save LIVES, which is an evidence-based inventory of priority interventions with a focus on Speed management, Leadership, Infrastructure design and improvement, Vehicle safety standards, Enforcement of traffic laws and post-crash Survival. The 6 strategies and 22 interventions recommended in the package are interrelated and should be implemented in an integrated manner to effectively address road traffic deaths and injuries. 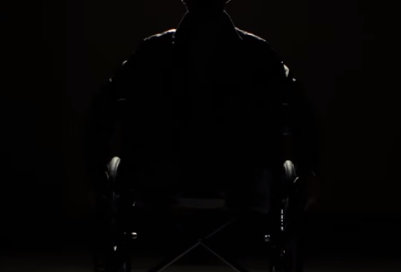 The Road Safety Institute ‘Panos Mylonas’ with the support of the Federation Internationale de l’Automobile (FIA) produced and implemented a video campaign titled “a while ago…” within the Fourth UN Global Road Safety Week, focusing on speed, identified worldwide as a major risk factor of death and disability. 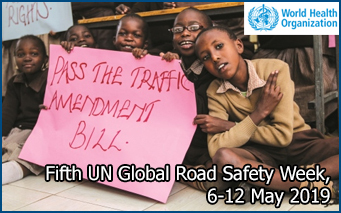 With 3500 people killed every day in traffic crashes the Manifesto #4RoadSafety issued by the Global Network for Road Safety Legislators highlights the measures that can help prevent this tragic waste of human life on the world’s roads. The Manifesto #4RoadSafety includes ten key recommendations to encourage parliamentarians to support the current United Nation’s Decade of Action for Road Safety (2011-2020), with focus on speed management, the safe system approach, occupational road safety, good governance and funding for road injury prevention, the role of the multilateral development banks and proposes a new UN target for road safety in 2030. 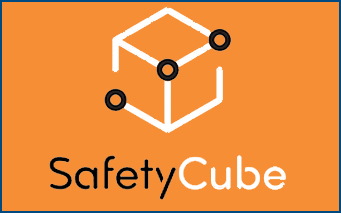 SafetyCube is a research project funded by the European Commission under Horizon 2020, the EU Framework Programme for Research and Innovation, in the domain of Road Safety. 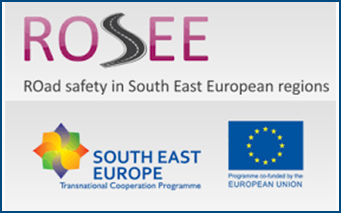 The project started on May 1st, 2015 and runs for a period of three years with primary objective to develop an innovative road safety Decision Support System (DSS) that will enable policy-makers and stakeholders to select and implement the most appropriate strategies, measures and cost-effective approaches to reduce casualties of all road user types and all severities in Europe and worldwide. 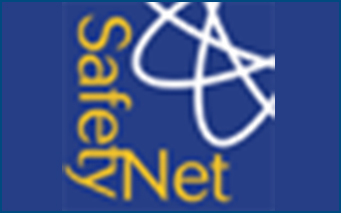 NTUA is actively contributing to all phases of the SafetyCube project. The latest SafetyCube newsletter is now available, including very useful Practical Guidelines for determining the number of serious road injuries. 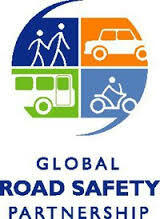 On March 23rd, during its 74th session, UN World Road Safety Forum discussed an Informal Document on automated driving. 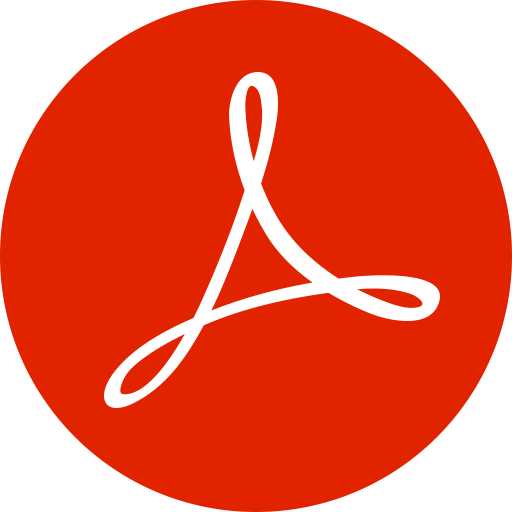 This document, submitted by the Chair of WP.1 Informal Working Group of Experts on Automated Driving (IWG-AD), provides a draft common understanding of the Vienna and Geneva conventions with regard to the use of automated driving functions. 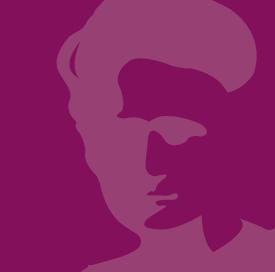 NTUA is inviting experienced researchers from EU countries established outside Greece, who would like to pursue a PostDoc research programme at the NTUA Department of Transportation Planning and Engineering, to apply for European or Global Fellowships of the Marie Curie Individual Fellowships Programme of the European Commission (deadline: September 14th, 2017). The NTUA Department of Transportation Planning and Engineering is a world class centre on transport research excellence, offering high level research opportunities in state-of-the-art transport science disciplines, within a highly skilled and warm research team. Detailed requirements for application are available at the Marie Curie Programme website and for further information you can contact us. 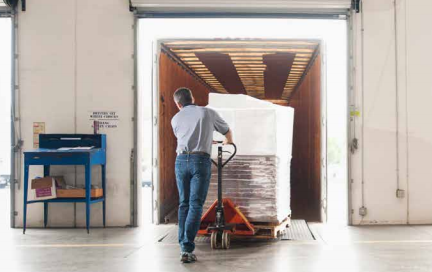 The International Road Transport Union (IRU) has recently launched the Guidelines on Safer Goods Reception, with aim to promote and ensure a safe and efficient working environment and use of the loading/unloading site for all stakeholders at the reception of goods. These IRU Guidelines provide information, rules and recommendations for different goods reception areas, taking into consideration safety, environment and cost effectiveness measures, enabling users to select the best solution based on its specific requirements. The Guidelines include general information on goods reception areas intended to facilitate the safe loading and unloading of goods and aim to contribute to an efficient and safe working environment for all new and existing reception areas. The European Traffic Police Network (TISPOL) together with the European Commission DG Move Road Safety Unit have launched the project EDWARD – the European Day Without A Road Death 2017. After just one year, Project Edward has earned its place on Europe’s road safety calendar. The 2017 European Day without a Road Death will take place on Thursday 21 September. 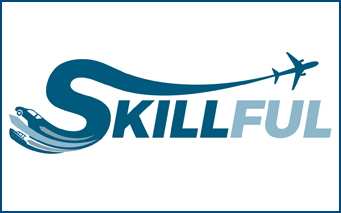 Several events, initiatives and promotional activity right across Europe will take place. Moreover, there will be a brand new dedicated Project EDWARD website with lots of new resources, artwork you can download – including images and infographics, a social media schedule so you will know what we’re going to be doing and can align yourself with various messages in the build-up to the day and on the day itself, a countdown timer to the day itself (starting 11 June, 100 days before 21 September), an interactive map and a brand new pledge to sign. 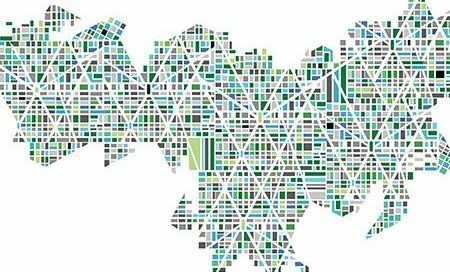 The Global Road Safety Partnership (GRSP) has launched a new series of Positioning Papers, designed to create an understanding of the scale of road traffic deaths and injuries and their linkages to other humanitarian and development issues. The Positioning Papers seek to highlight that road safety is a multidimensional issue that requires an urgent and sustained contribution across many sectors, and that evidence based road safety interventions can address broader development issues such as children’s rights, public health, consumer rights and more. 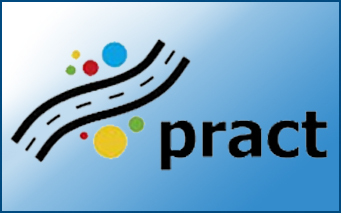 The Positioning Papers further enhance the GRSP’s suite of tools to support road safety advocacy campaign planning, including a general advocacy campaign toolkit and media advocacy toolkit, all of which are available on its Advocacy Tools web page. 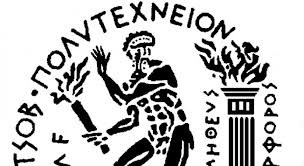 The Civil Engineering School of the National Technical University of Athens was ranked this year 12th in Europe and 42rd worldwide among all Civil Engineering Schools. This ranking is produced by the QS Organisation (QS World University Rankings by Subject 2017) based on the following criteria: Research, Teaching, Employability, Facilities, Internationalization, Innovation, Engagement and Access. NTUA road safety activities have contributed to this ranking. 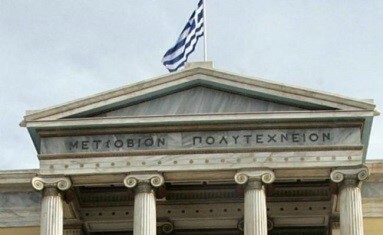 Professor Demetris Koutsoyiannis, Dean of the Civil Engineering School highlighted that the Civil Engineering School improved its ratings, compared to 2016, in all individual criteria of the ranking, except for one: the reputation of its graduates, in which there was a slight decline (from 80 to 74.9). The Civil Engineering School scored its best individual ranking in the “citations per paper” criterion (91.1), in which it was ranked 19th worldwide. In this specific criterion it overpasses a lot of competitive schools which have a better overall ranking. 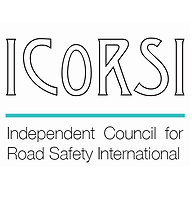 The Independent Council for Road Safety International (ICoRSI) is a recently launched new not-for profit organization, which provides independent authoritative advice on global road safety policies by road safety scientists that have no financial conflicts of interest. ICoRSI aims to provide rapid, independent and evidence-based information on road safety policy and practice to policy makers and the public, strengthen the capacity of safety professionals and policy makers to understand existing evidence and undertake new research and facilitate in capacity building for safety professionals and policy makers in the field of transportation safety. 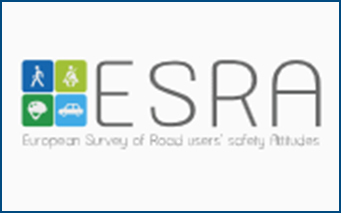 ICoRSI has recently launched comments on WHO’s draft global targets for road safety risk factors. TRAVisions 2018 Senior Researcher Competition , a competition for senior researchers in the field of innovative surface transport concepts based on results only from EU-funded projects . 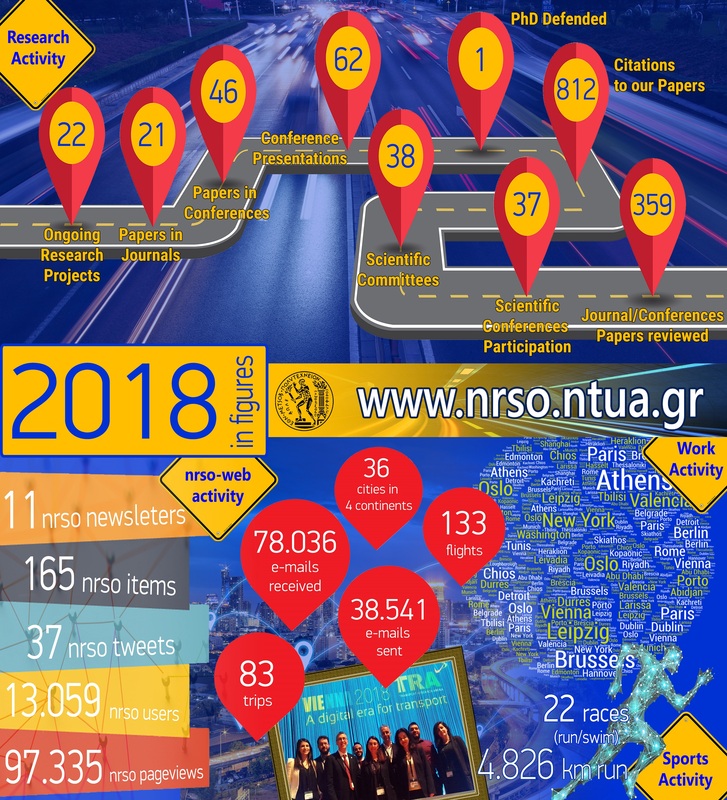 The infographic of the 2016 NTUA Road Safety Observatory (www.nrso.ntua.gr) highlights one more very intensive year, striving with highly scientific expertise to improve road safety in Greece, in Europe and worldwide. The nrso people with excellent dedication, efficiency and expertise were active in 13 innovative research projects, succeeded to publish more than 55 scientific papers (21 in peer reviewed journals), achieved more than 38.500 visits of the nrso website, handled more than 75.000 emails and run more than 4.500 km! At the end of another year full of surprises and non-stopping efforts, we heartily wish you very joyful Christmas holidays and a very happy and fruitful new year 2017, plenty of personal and professional achievements. Let’s face the new challenges ahead with creative hope and scientific persistence for even safer roads in Europe and worldwide. The recently established Road Infrastructure Safety Directorate (P.D.109/2014) of the Hellenic Ministry of Infrastructure, Transport and Networks has further adapted Greek legislation to the provisions of Directive 2008/96/EC on Road Infrastructure Safety Management by introducing the certification procedures for Road Safety Auditors in Greece (OG 1694/13.6.2016) . 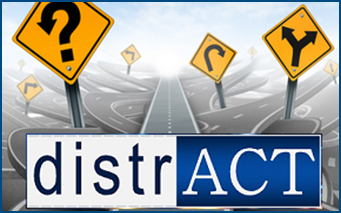 This new legislation concerns the establishment and implementation of procedures for road safety audits and inspections, the assessment of road safety impacts and the management and improvement of the Greek national road network safety level, at the design, construction and operational stages. According to these new procedures, Road Safety Audits will be performed by Certified Auditors who should have completed a Certified Road Safety Training Program and obtained the certificate of competence. NTUA has actively contributed to the development of these procedures and the related scientific supporting material. Dr. Panagiotis Papantoniou obtained the NTUA Thomaidion Αward 2016 for the publication of the journal paper titled “Assessment of driving simulator studies on driver distraction”, co-authored by Prof. George Yannis and Dr. Eleonora Papadimitriou in the Advances in Transportation Studies. Dr. Dimosthenis Pavlou obtained the NTUA Thomaidion Αward 2016 for the publication of the conference paper titled “Driving behaviour of drivers with Mild Cognitive Impairment and Alzheimer’s Disease: a driving simulator study”, co-authored by Dr. Eleonora Papadimitriou, Dr. Costas Antoniou, Dr. Panagiotis Papantoniou, Prof. George Yannis, Prof. John Golias, and Dr. Sokratis Papageorgiou, in the Proceedings of the 94th Annual meeting of the Transportation Research Board, Washington, January 2015. According to a recent University Ranking, based on the number of references in scientific journals over the last decade (2007-2016) in the field of transportation, NTUA ranks 3rd in Europe and 19th worldwide (h-index: 26). The Department of Transportation Planning and Engineering of the School of Civil Engineering of the National Technical University of Athens has contributed largely to this excellent performance and road safety was one of the main components. The World Day of Remembrance for Road Traffic Victims is observed on the third Sunday of November each year (this year on 20 November 2016) by an increasing number of countries on every continent around the world. 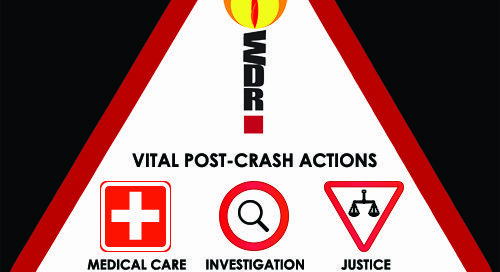 From 1995, the European Federation of Road Traffic Victims (FEVR) observed this day, as European Day of Remembrance, that was adopted by the United Nations in 2005, and is dedicated to remembering the many millions killed or injured in road crashes and their families and communities, as well as to pay tribute to the dedicated emergency crews, police and medical professionals who daily deal with the traumatic aftermath of road death and injury.